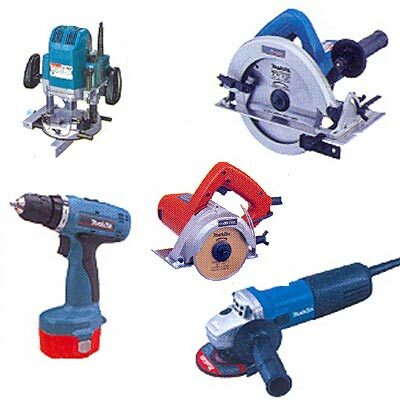 We sell angle grinders, bench grinders, bench drills, handheld drills, sanders and other electrical tools from manufacturers such as Ryobi, Bosch and Makita. We also have a wide range of drill bits, grinding disks and sandpaper. You are perfectly equipped for all applications with these powerful tools: the rotating cutting disc plunges powerfully, safely and precisely into metal and stone. It cuts through iron profiles as easily as it cuts through water pipes, stone slabs or wall and floor tiles. Our power tools are essential for anyone wishing to quickly and thoroughly complete applications such as coarse grinding work, removing rust from metal railings or drilling various materials efficiently.